Fitness Quest Personal Training & Classes Bournemouth: How INSANE is INSANITY? Many though, have been quite apprehensive to come along and give it a try, and others just see the name and prefer to run a mile in the opposite direction. I've been asked a lot of questions on what the class is, who can do it and what sort of results you could expect, so I've decided to write a blog post to explain in a little more detail what a LIVE INSANITY class is all about! 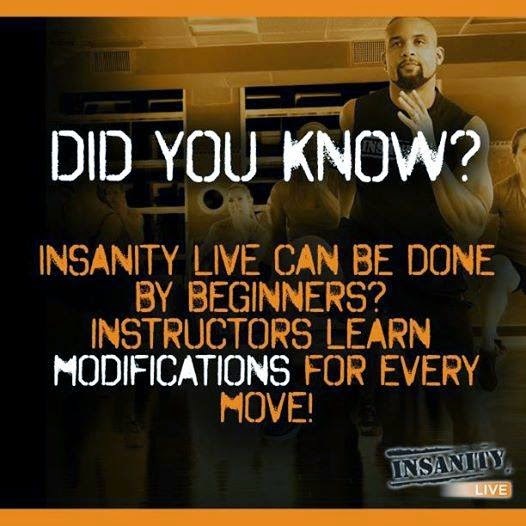 INSANITY was created by American Fitness Trainer, Shaun T, and launched as an at home exercise DVD. The market had a huge gap to fill, and INSANITY soon took prime position and gained a reputation as the hardest exercise programme to ever be delivered on DVD. INSANITY became recognisable by its television adverts and the 60 day challenge, in which its participants achieved amazing results through working out and eating healthy. How is the live class format different to the DVD? Firstly, the home DVD does not have a real life instructor there with you, to guide you through your technique and safety points, whilst pushing you to your max. It's the job of us instructors to help each class participant to do everything they can to get a good workout and try to make it fun at the same time. What one person can do, may look completely different to the abilities of another. For this reason I split my class, asking those of a competitive nature or who describe themselves as super fit to move to one side of the hall, and those who are new or feel they want to take it at a slightly slower pace to stay down the other side, with those in the middle being half way between the two. This takes the pressure off newcomers, but also allows me to know who I should, and shouldn't be forcing to do more, and who might need some extra help. The live class format also has modifications, so anyone who at first struggles to jump around, can choose the lower impact movements. I'll always show a modification for each exercise after the insane version, so if you need to step it back a bit you can do. 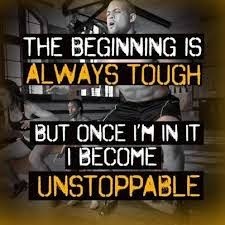 The great thing about INSANITY is although it should be completed at YOUR pace, it never gets easy... This is because as you get fitter you start going faster, bigger, stronger and getting more out of each move. Your aim is to keep moving, but if you need to you can go slower, do less, make your moves smaller, modify etc and then each week you do that little bit more! 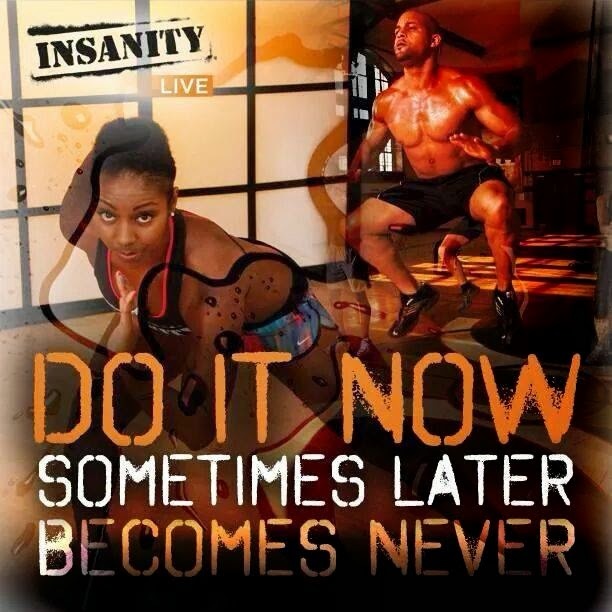 INSANITY live classes are held as both 30 and 50 minute classes. Each contains a warm up, dynamic stretch and cool down. The 30 minute class contains two blocks, usually plyometric (jumping) and strength and balance (body weight exercises). The 50 minute class contains a third block (agility and coordination) and also an "abs and core" section. Each block is made up of four exercises, these last 30 seconds each, with a 30 second break at the end of the fourth exercise. You then repeat them another two times, and at the end of the third set you complete a 60 second "Power Move". The abs and core block is slightly different in that it is made up of 8 exercises, lasting 60 seconds each. All of the exercises can be made easier by modifying. Each instructor chooses how often to change the rounds (new exercises), I choose to change them every 5-6 weeks as this allows participants to get used to the workout, come along each week and get straight into the zone. New rounds bring new challenges, learning new exercises will work your body in different ways and push your comfort zone. Coming to a live class is also a great excuse to drag some friends along too and make it a social event, many people have even come along on their own and made great friends! But don't let that put you off, I also pride myself on being able to accommodate all fitness levels, from new mum's to marathon runners, and I'll push them and get them to push themselves according to their abilities. Although modifications are available, some moves are still hard and for that reason you should be MEDICALLY fit or have clearance from your GP to participate at class. Should you have any concerns please send me an email. If you've recently had a baby, you should seek clearance from your GP to exercise six weeks after a natural birth and 12 weeks after a C Section, and begin with the modifications only. What do people think of INSANITY so far? I've had a variety of people attend INSANITY since classes have started. From new mums to those who attend almost all of my other classes, men and women, from 18 into their 60's. Some come along nervous, hiding at the back, others come to class thinking it'll be easy (word of warning, you'll be the person I'm picking on), all body shapes and sizes, but all have one thing in common... They want to get fit! The feedback is that they love the class, they find it hard, they feel a little bit sick and they ache for days after, but they feel as though they are achieving results, and that's why they love it so much! Everyone starts in the same place, once you've attended, you'll find people willing to support you and this makes the class seem less of a chore. The one piece of advice I have, is if you are thinking about coming along "do it now, sometimes later becomes never". How many classes should you attend each week? This is personal preference, however you should ensure your body has sufficient time to recover so that each session you can reach your full potential. You don't have to train like in the DVD's (a different programme each day), so coming to one class a week will still get results, but coming to two will get results even faster, and so on. Bring plenty of water, a towel and please wear suitable exercise gear and trainers. If you book onto class paying cash, please also remember this each week. If you're new, please arrive 5 minutes early to complete a screening form. Please don't be scared, come along and give the class a try. It gets amazing results and you'll feel so proud of yourself after your first time and soon begin feeling fitter and more confident. In case you wanted to see a little glimpse of what it's all about, have a look at these videos, but the only way to know for sure is by coming along!